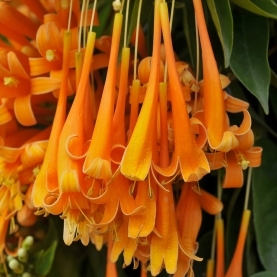 Stillpoint's Trumpet Vine flower essence holds the energetic imprint or the blooming flower of the trumpet vine plant. The vine from which the blossoms came is currently growing wildly in our back garden. This particular flower essence holds the intention of endurance, pushing through, protection and rising above.